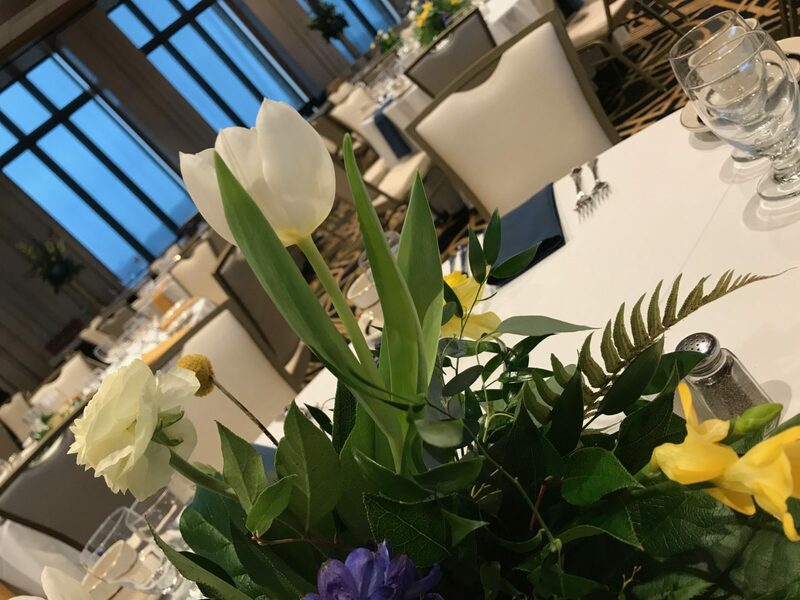 It’s the best way to welcome guests to town and kick off a wedding weekend in style… a fantastic welcome party/rehearsal dinner. 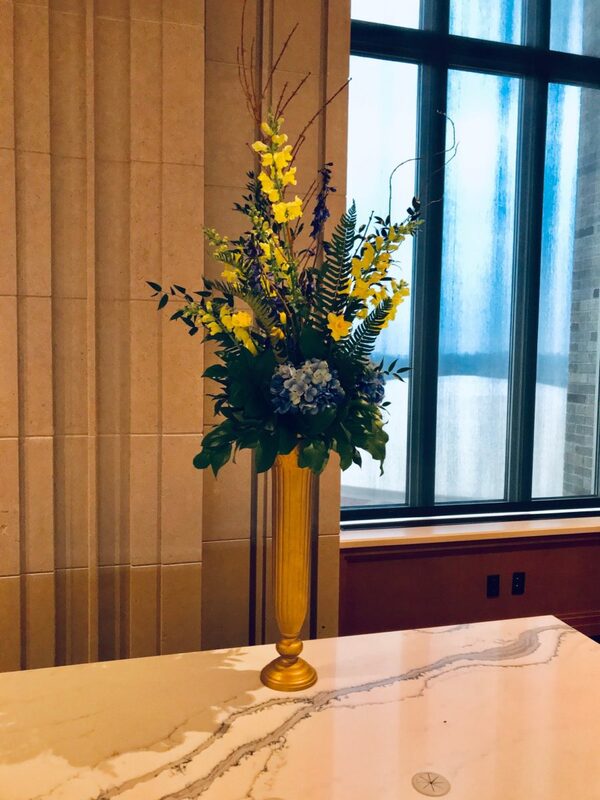 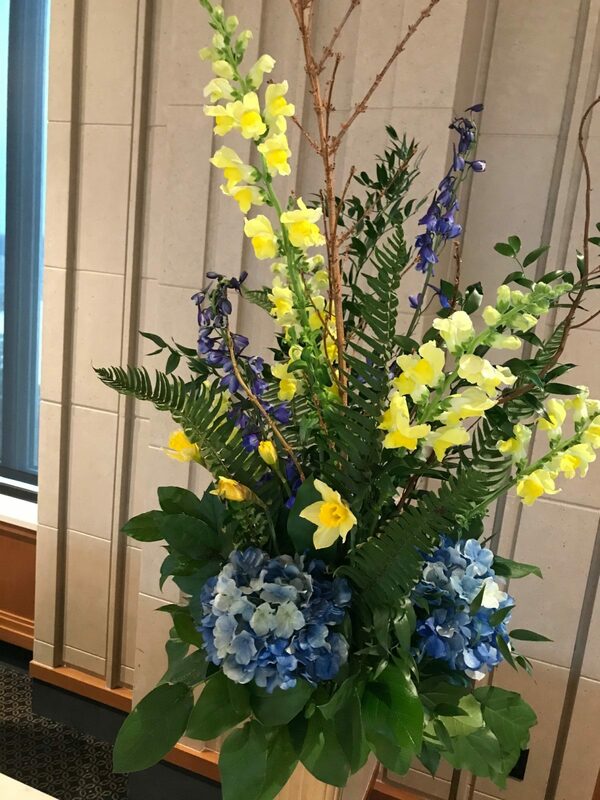 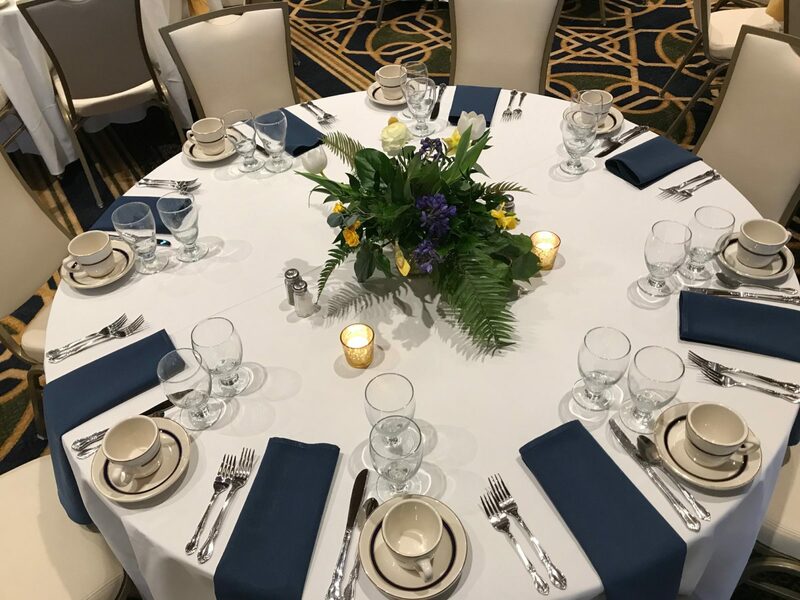 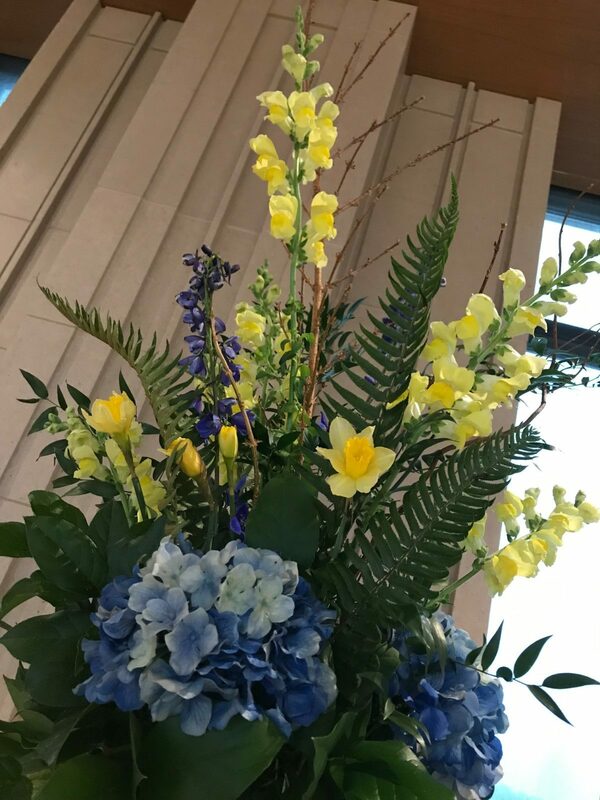 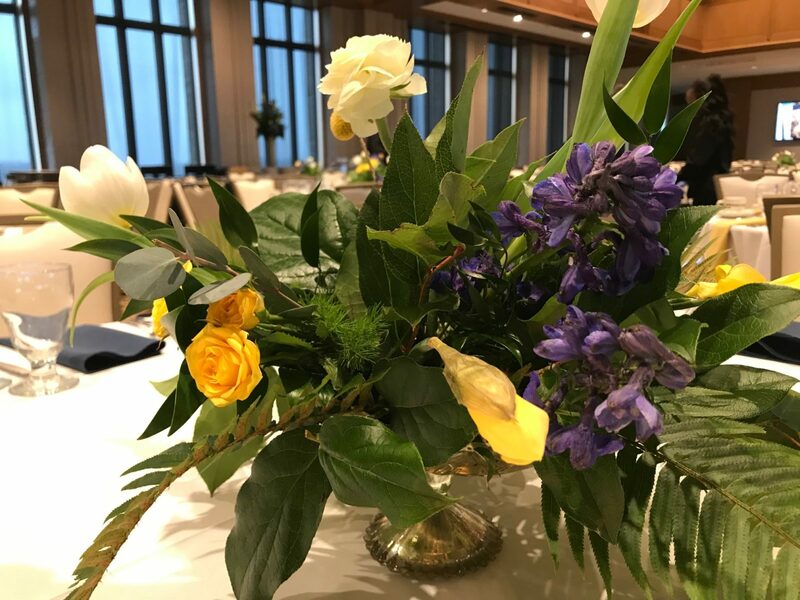 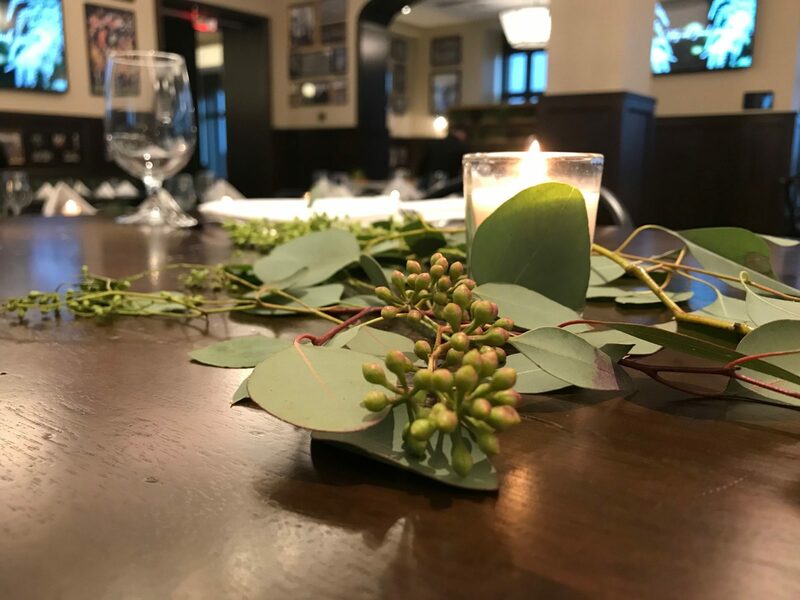 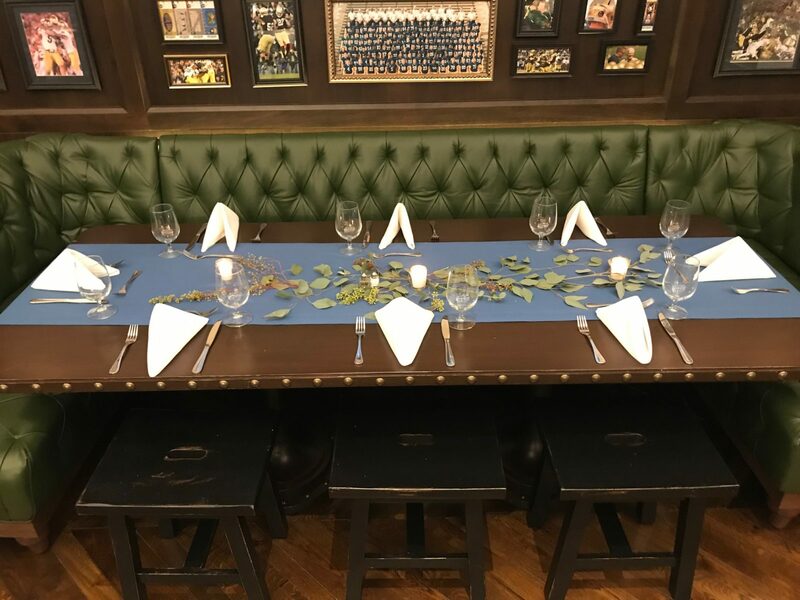 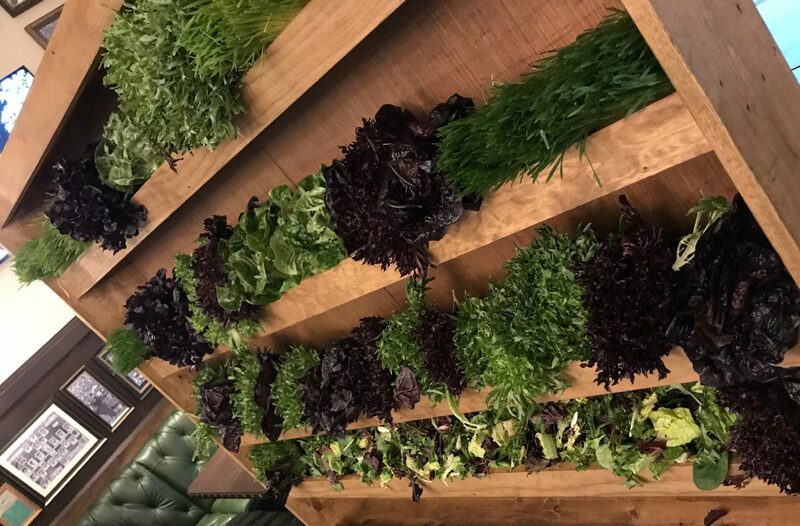 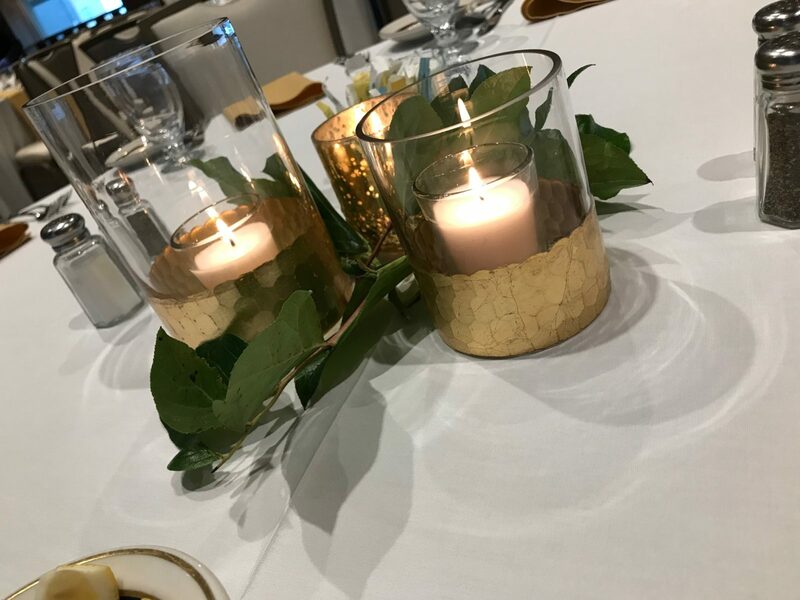 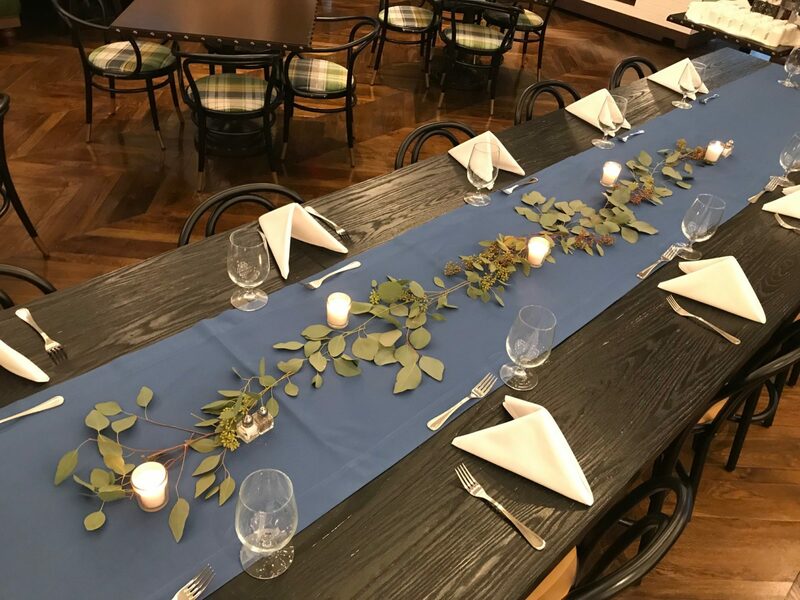 We were fortunate to design fresh flowers and greenery for Friday night rehearsal dinners for both of our Saturday wedding clients this past weekend! 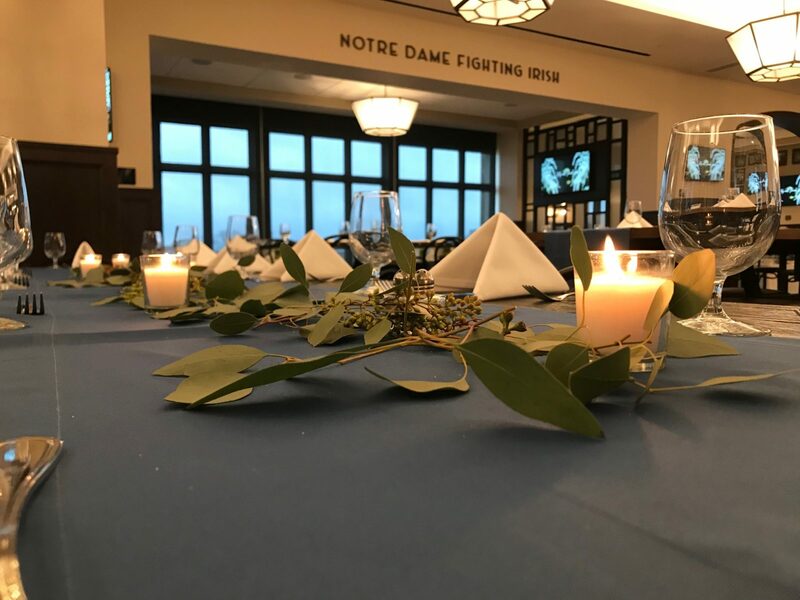 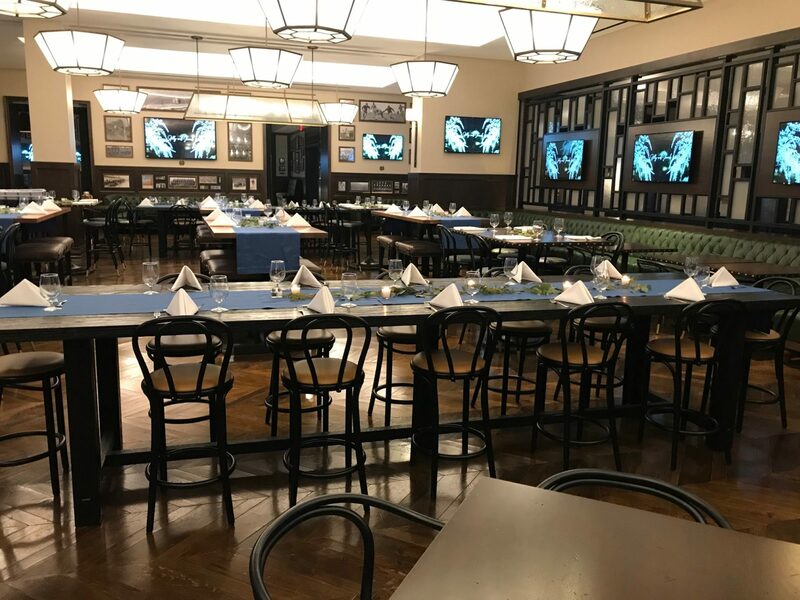 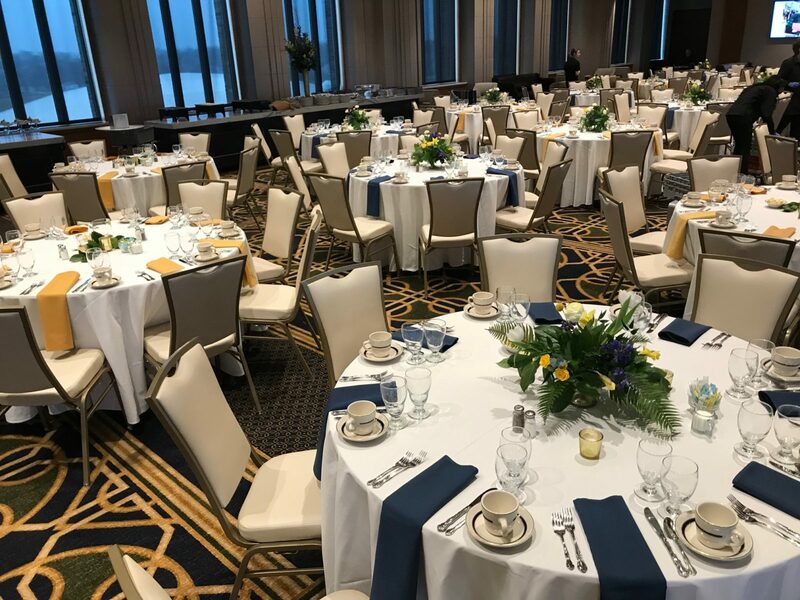 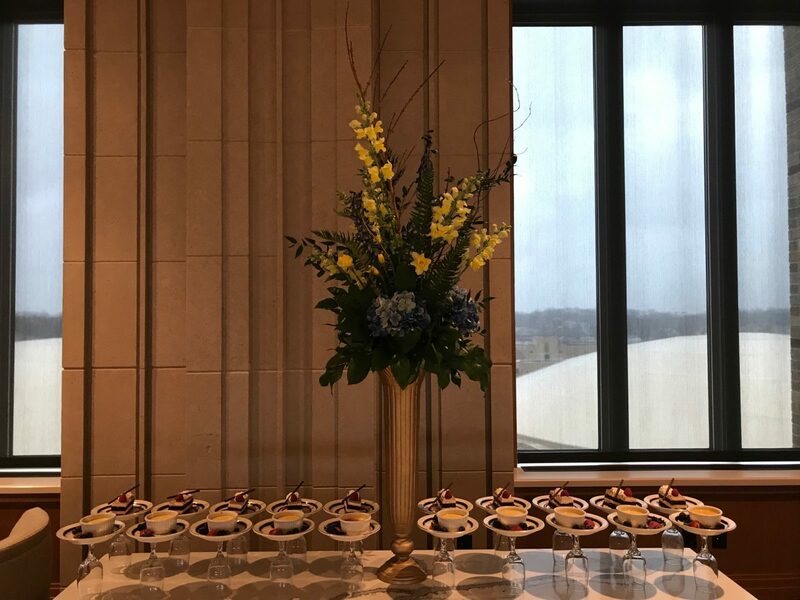 The dinners took place inside O’Neill and Corbett Halls, which are attached to the football stadium at the University of Notre Dame. 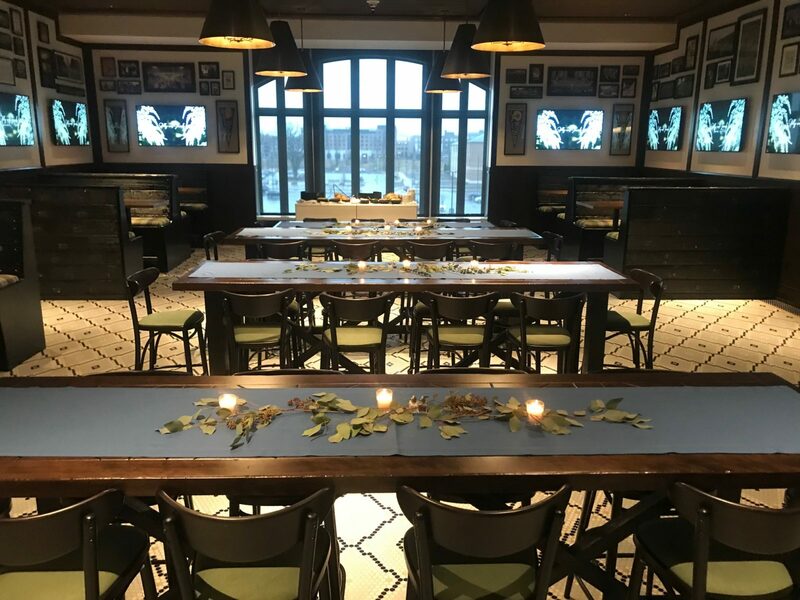 Both had their own vibe – one in an upscale but relaxed pub setting and the other in a ballroom, with a view of the stadium. 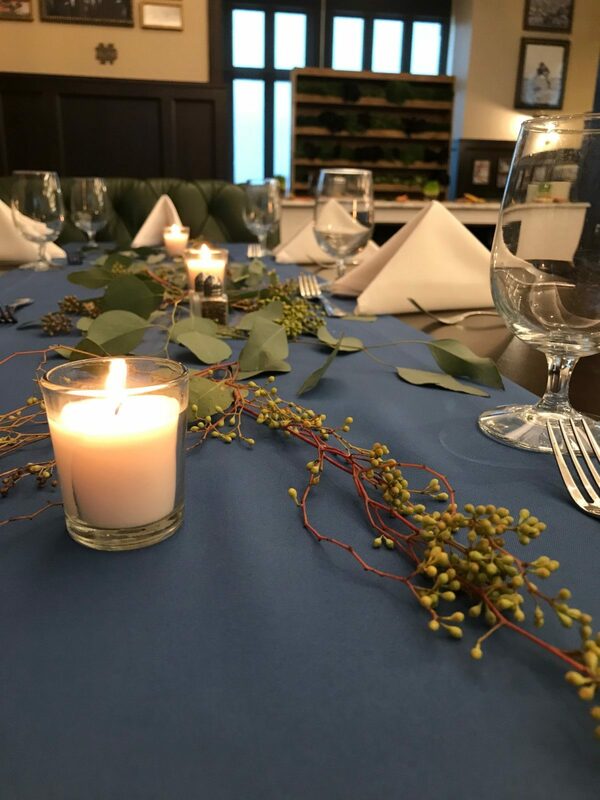 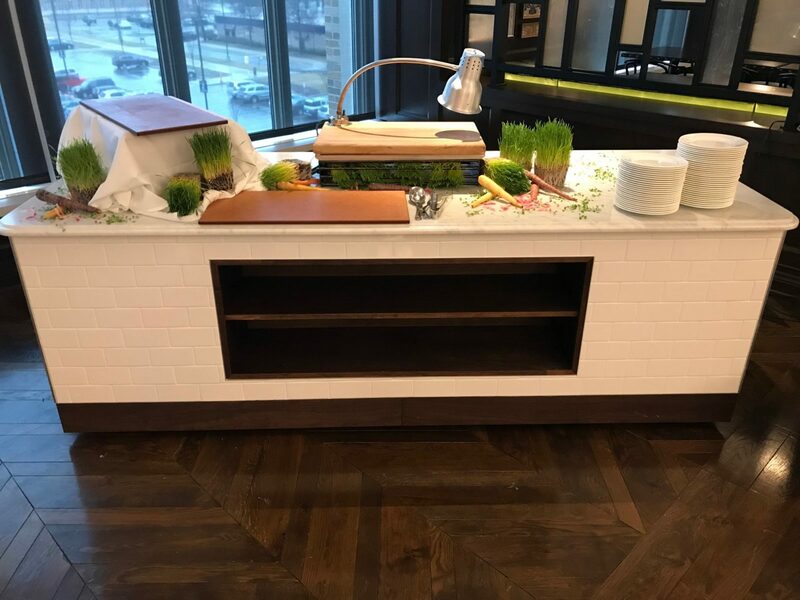 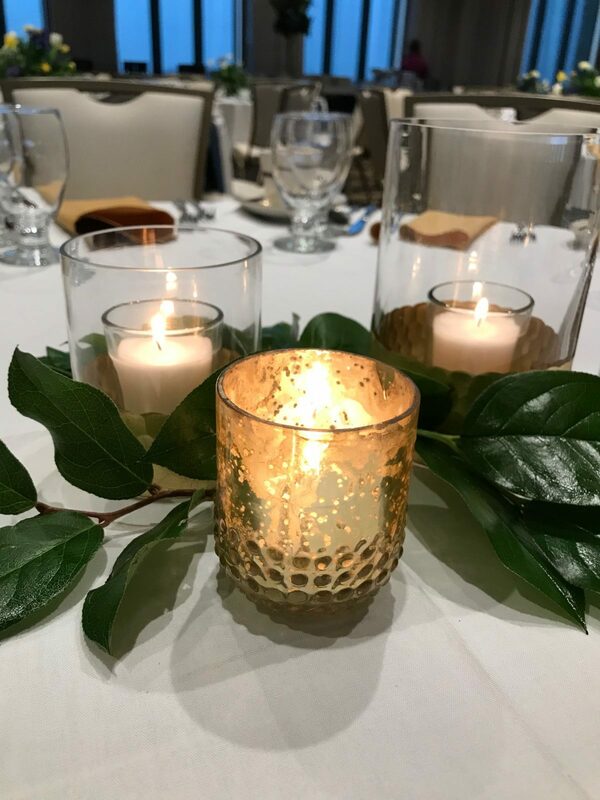 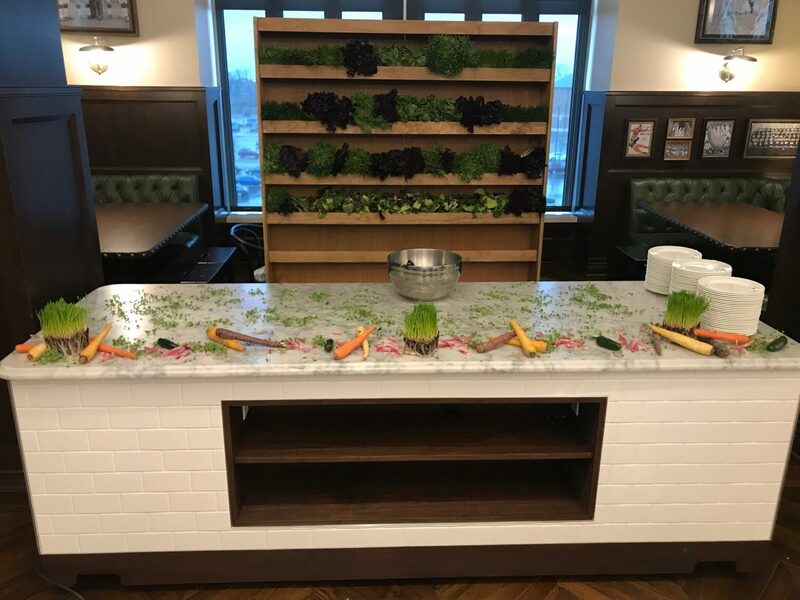 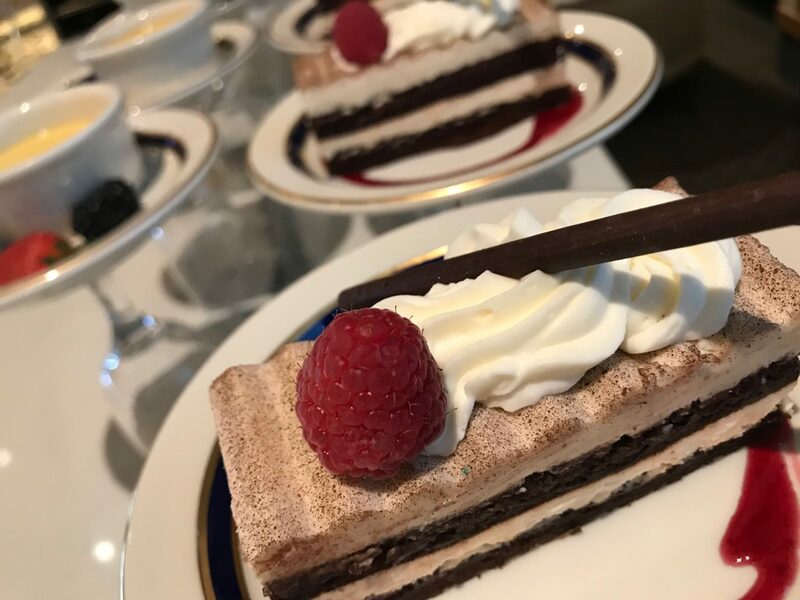 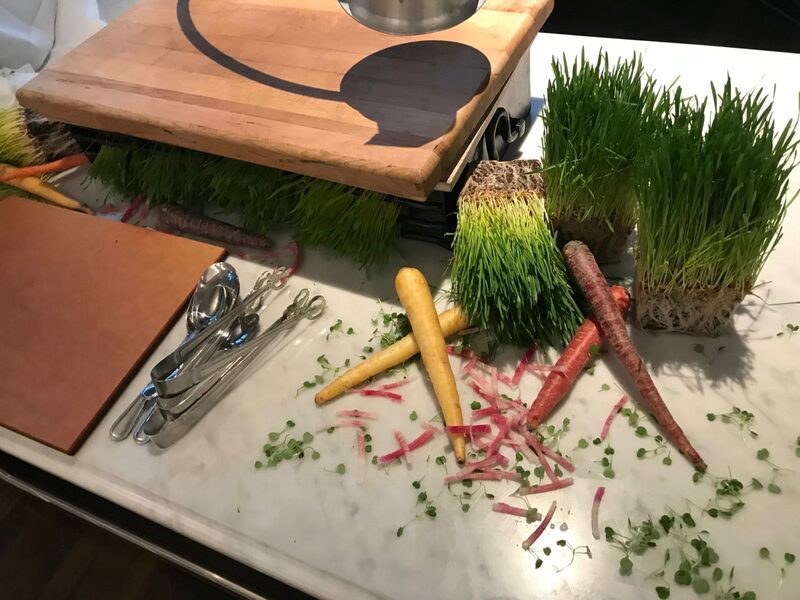 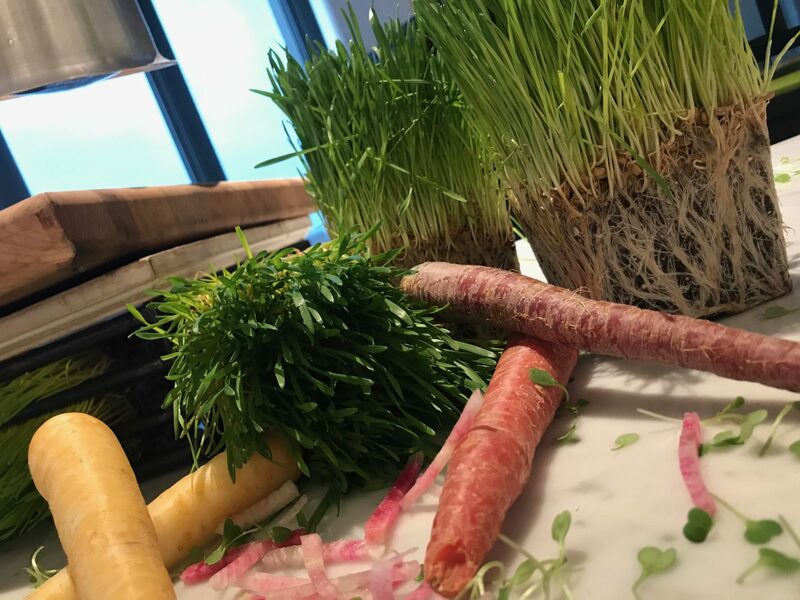 Navarre Hospitality Group and University Catering helped us rock both events… scroll on to take a look!